December is just flying past me and I honestly can't believe Christmas is less than two week's away. I know I say this all the time but working Monday to Friday really means that time just whizzes past. Anyway I do really appreciate every single one of you who is patient with my blogging schedule at the moment that seems to be a little bit all over the place and understanding that I just don't have the time to catch up with comments/blogs as much as I used to do. Nvertheless today I am back with a new collaboration with one of my favourite companies to work with. I'm talking about Debenhams of course for their #Foundit campaign and this particular one is aimed at any beauty goddess out there. 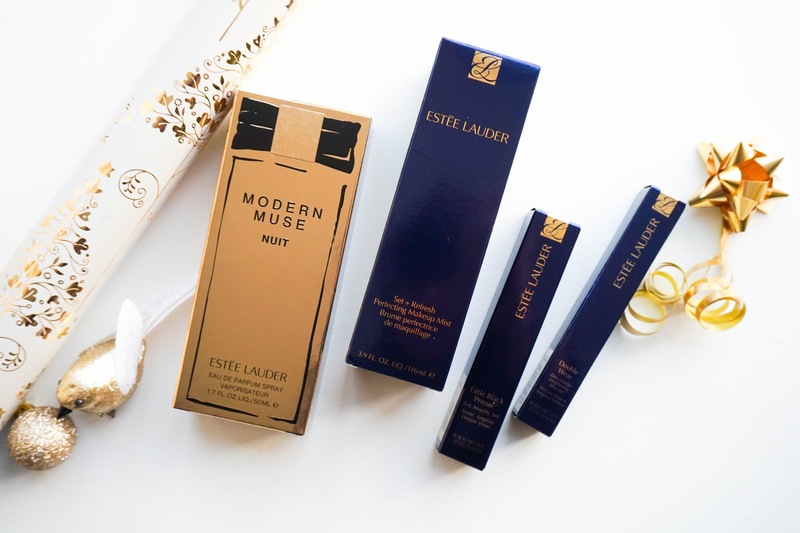 I've got a special Estee Lauder* gift that I can guarantee any beauty lover would appreciate. 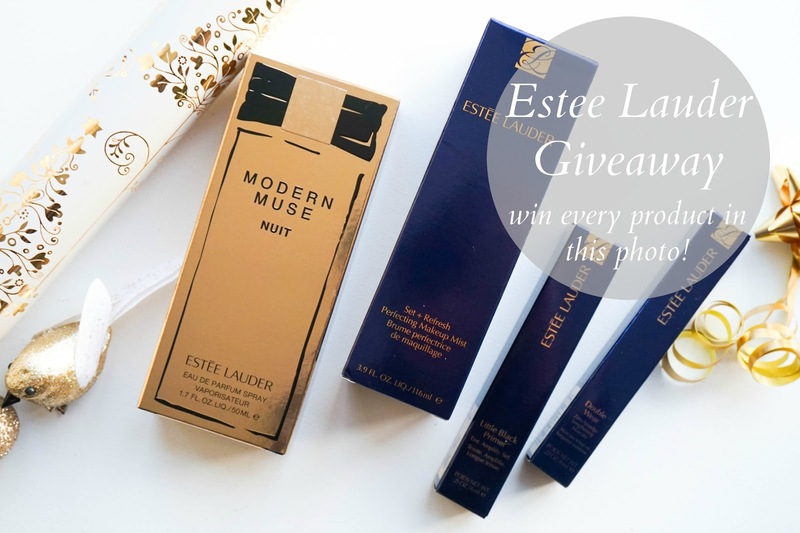 On top of that I've got an exciting giveaway too, where you can win your very own Estee Lauder gift set so keep an eye out for that at the end of the post. 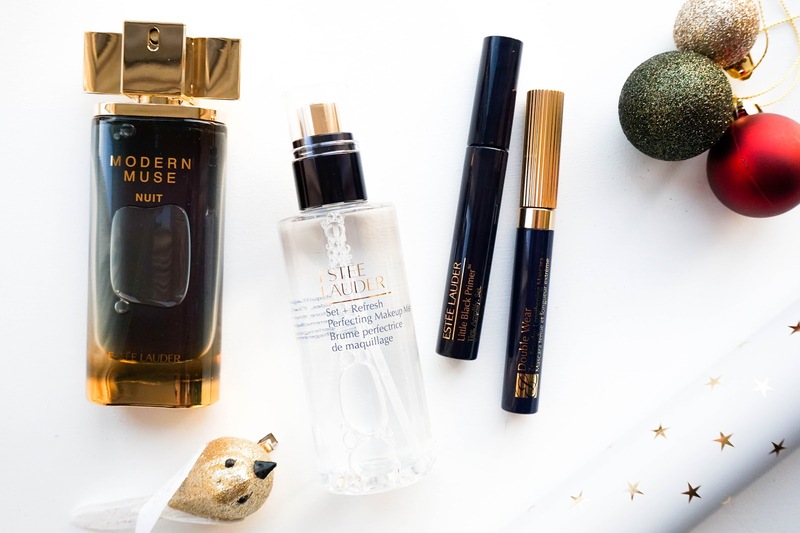 I have to admit Estee Lauder is a luxurious brand that I haven't really experimented with in the past, not because I didn't want to do so but my budget didn't always allow it (living in London is super expensive in case you didn't know). So of course I am quite excited to get my hands on a few products from the brand and try them out for myself. 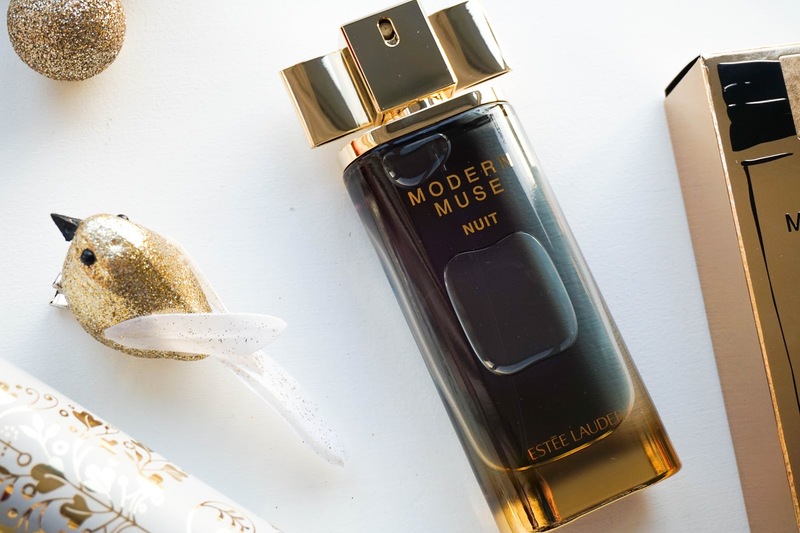 First up I'll talk about the Estee Lauder Modern Muse Nuit fragrance which is a brand new release and I have to say it is the perfect scent for this festive season (basically Christmas in a bottle)... Modern Muse Nuit is packaged in a dark navy bottle, that is embellished with the hallmark bow cap in gold. It's such a beautiful design with amazing quality too. This new addition joins the award-winning Modern Muse family, as a symbol of night glamour and seduction. The fragrance is inspired by the "noir" theme with opulence and luxury, which is definitely visible from the packaging to the actual scent inside. 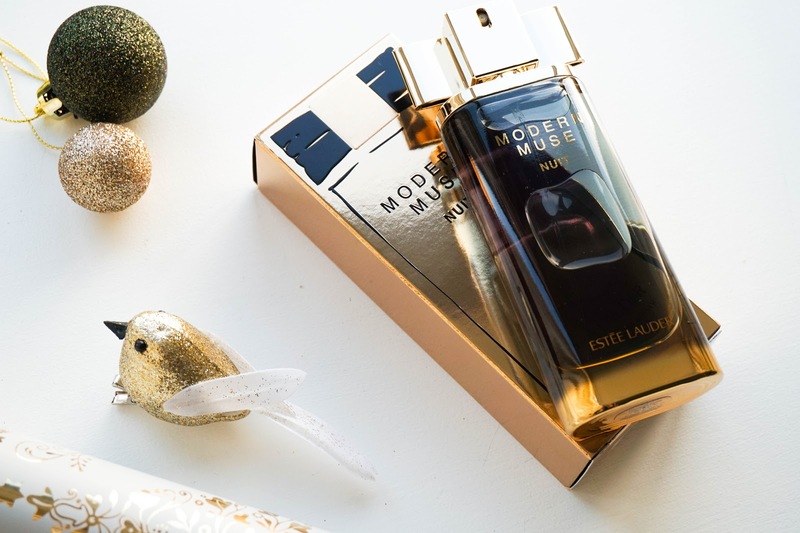 I've actually never smelled the original Modern Muse fragrance, but the Nuit version is supposed to be a deeper and more intense scent. The composition is made up of floral, woody & oriental tones, which create the most daring and addictive scent. The fragrance opens with mandarin and blackcurrant, followed by rich jasmine absolute for a 'bold and modern take on seductive femininity'. You will then immediately notice accords of amber, musk and sandalwood that enhance the attraction of this scent further. Lastly a hint of warmth and spiciness comes through patchouli, tonic bean and Madagascar vanilla. It really is a wonderful fragrance overall and one that suits the current festive season perfectly, I definitely recommend you check this out in store for yourself. 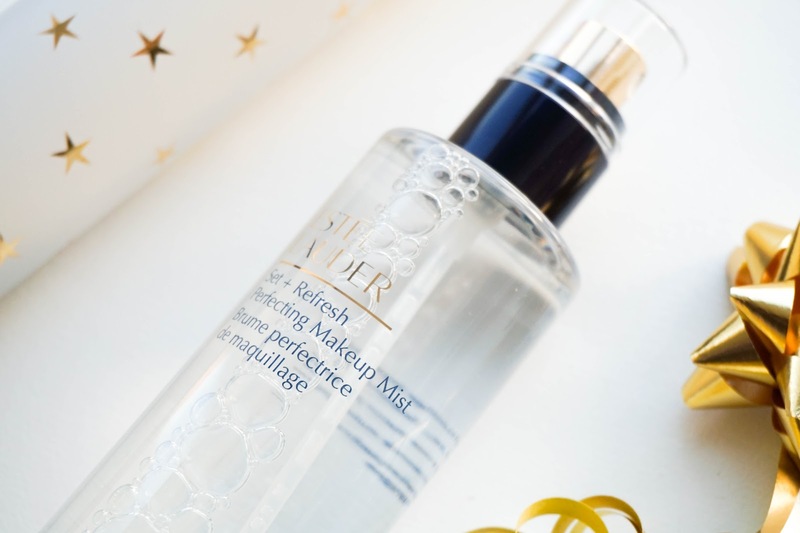 Next up I've got the Estee Lauder Set + Refresh Perfecting Makeup Mist, which I am delighted to have received as I have totally ran out of both my UD setting spray and MAC Fix +. 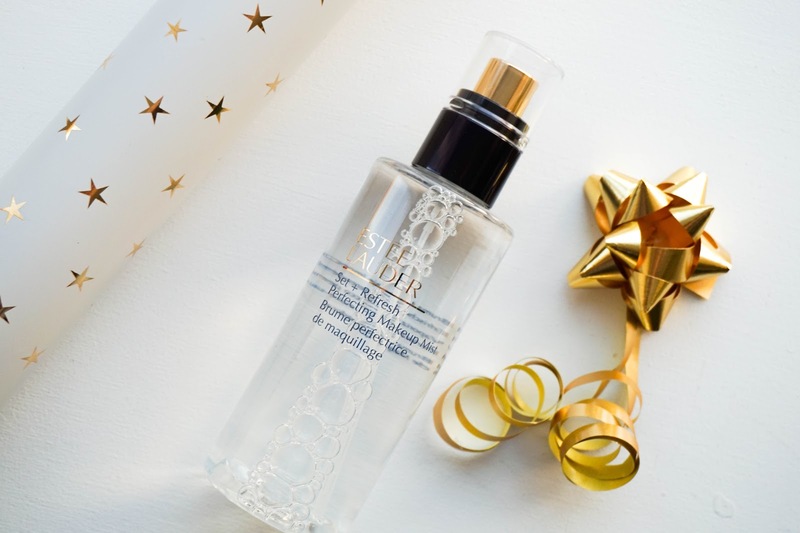 They are the only setting sprays I have tried in the past, so it's definitely exciting to try out something different especially from a luxurious brand such as Estee Lauder. This makeup mist is really interesting as it's been infused with electrolytes and caffeine, both known to instantly boost skin's radiance. It's recommended to mist it on the skin before you start applying your makeup. This is definitely something new to me, but I've been enjoying the new process and love the extra hydration benefits especially this time of the year (when my skin is constantly drying out). The spray leaves my face feeling invigorating as well as soothing the skin, which is the best way to prep before makeup application. My makeup applies on more effortlessly when I use this and it has that luminous glow that I like. Over the past couple of days I have become addicted to using this every single time I do my makeup and I even re-apply throughout the day, when my skin is feeling a bit dull. There is a slight fruity scent to the mist, which I personally like as it has uplifting tones of mandarin, grapefruit and orange. In terms of makeup longevity I'm not so sure this helps pro long the wear time much further.. but I don't mind too much as long as my face feels hydrated and looks radiant too. Lastly I've got two different eye products from the brand, one of them is a lash primer and the other is a cult favourite mascara. 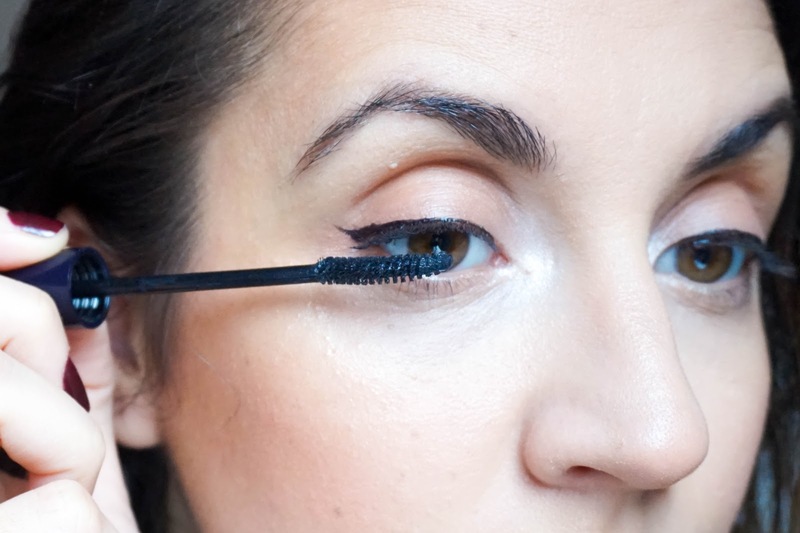 I've talked in the past how important it is to prep lashes with a curler and also use a primer if you want to maximise how voluminous lashes look in the end result. It's not something I do everyday, as it requires extra time, but when I do want my lashes to look full (almost as if I am wearing falsies) then I will take these extra steps. 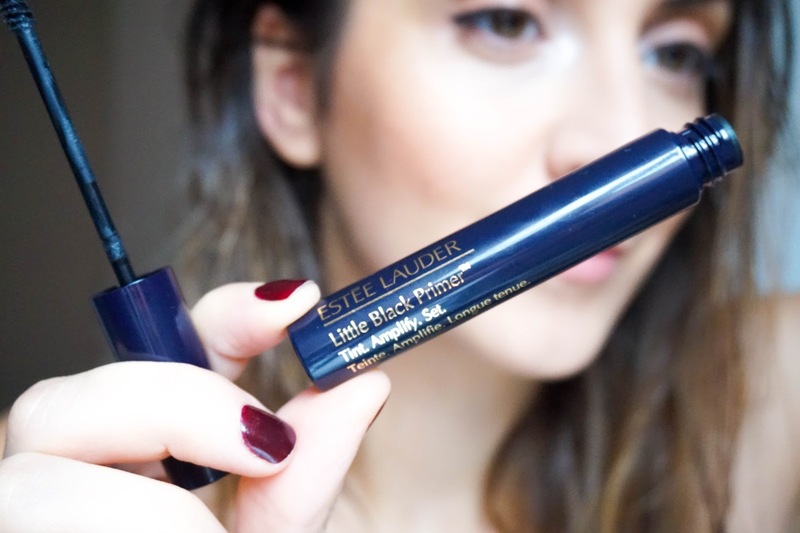 So once I've curled my lashes I start off by applying the Estee Lauder Little Black Primer, which is fantastic for adding extra length and volume to my lashes. I would even go as far as saying that I would be more than happy to use this on it's own for an everyday day time look, as I love the results it gives me. 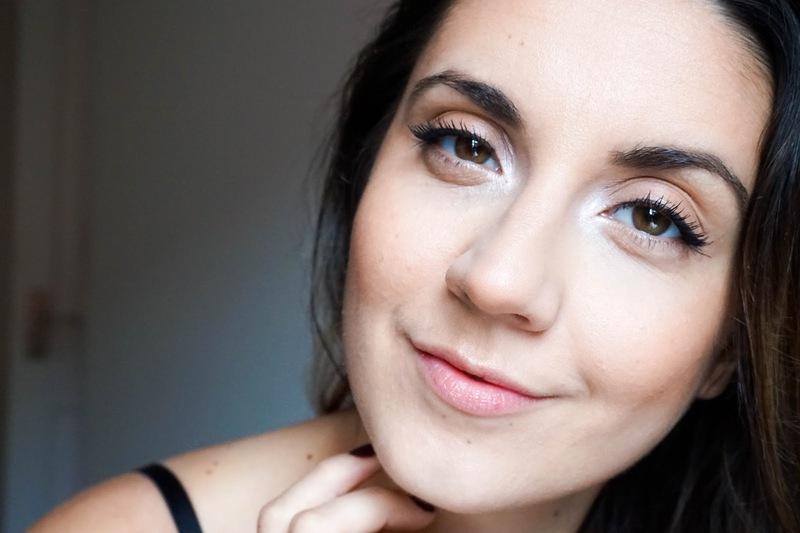 Most traditional lash primers are white, which I actually don't like at all as it's that bit more difficult to make sure every single lash is covered with your desired mascara. 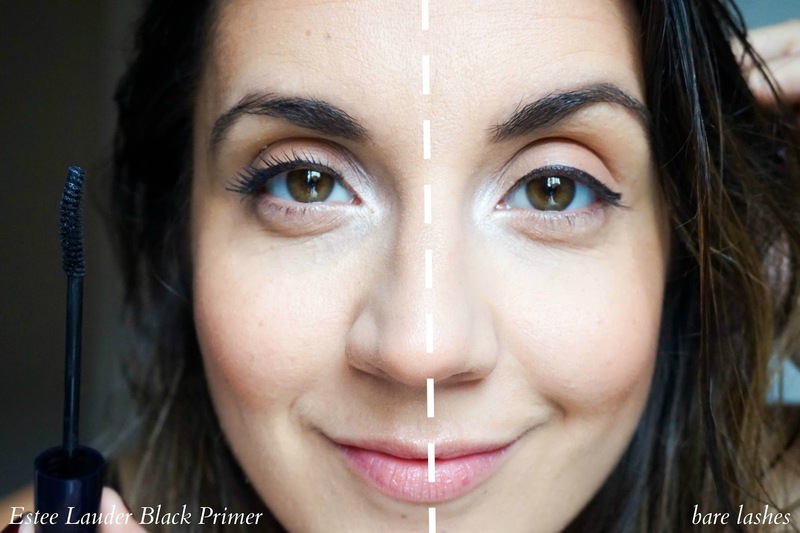 This primer is tinted black, so you don't need to worry about white lashes and it also means you can use it on its own. 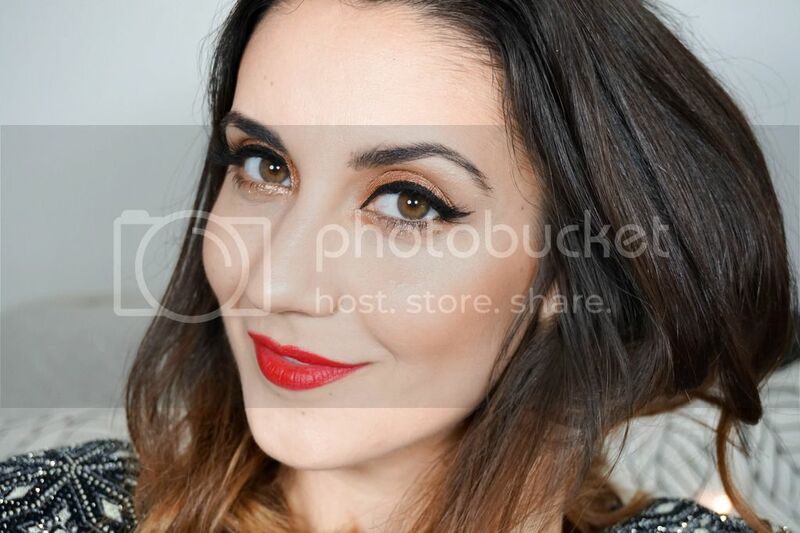 I find that using a black lash primer like this also intensifies how dark your lashes look overall. This primer is also great for making sure that the curl you create in your lashes before hand sticks around all day long. Estes Lauder also recommend using this after you apply mascara, as a long-wearing, water-resistant topcoat to reduce smudging and flaking (I'm yet to try this method as I don't usually experience flaking or smudging, but it's good to know about it). I've also read that this primer has been ophthalmologist-tested, so it's suitable for anyone wearing contact lenses. 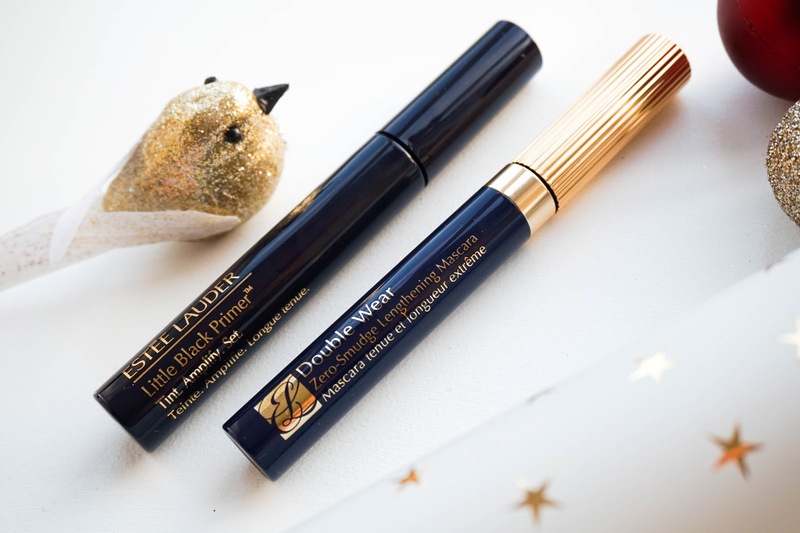 To finish my lashes I will apply a few coats of the Estee Lauder Double Wear Zero-Smudge Lengthening Mascara (wow that's a mouthful). So as the name suggests this mascara is aimed at providing long lashes with super staying power and no smudging either. I wouldn't use a lengthening mascara like this on its own since I always lookout for volume with my lashes, but using this in combination with the black primer works amazingly well. According to the '15 hour staying power and zero smudges' claims, I can definitely confirm that this mascara lasts really well and I haven't experienced any kind of smudging or flaking at all after an 8 hour day. I really like the thin brush with micro-fibre bristles, as it helps to brush the product through the lashes without any kind of clumping. The actual formula is fantastic too, since it has been created with innovative polymers that resist high temperatures, high humidity and perspiration. 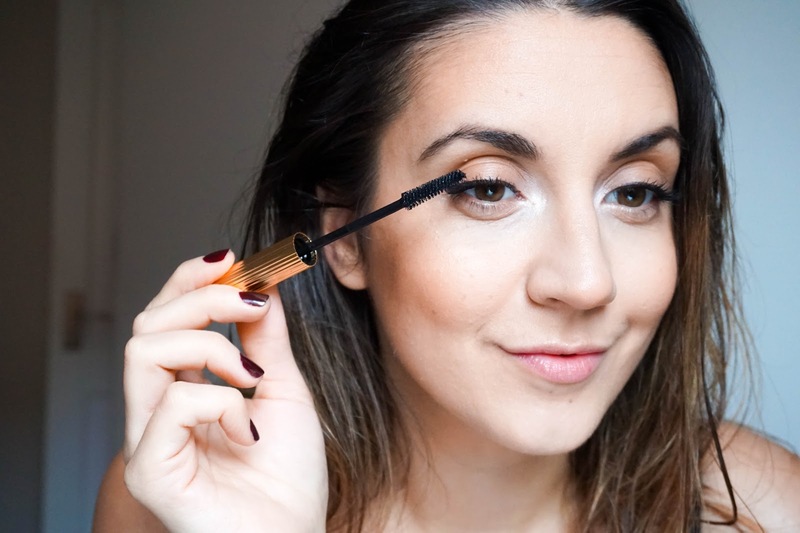 The best part is that considering how well this wears and lasts throughout the day.. it is not a pain to remove (something which I absolutely hate with waterproof mascaras for example). I don't need a special eye makeup remover, as my regular micellar cleansing water removes every last trace easily. So as you can tell from the review, I have had amazing results with all the products above and I'm really impressed with the brand overall. So of course I am super excited to be able to host a giveaway for all you lovely readers with the exact same products I have here. All you need to do is use the Rafflecopter widget below to enter and the rules are pretty simple to follow. Unfortunately the giveaway is only for the UK (sorry for all my international readers), but posting a package as this overseas isn's as easy. It will end on 3rd of January with the winner being announced on Twitter & emailed for address details. Good luck to everyone that enters!